The cryptocurrency market is an overly confusing space, with technical jargon often used to confuse investors and create misconceptions. One common point of confusion is the difference between Ripple and XRP. Exchanges, wallets and the media use the terms interchangeably, but how many investors understand that when buying Ripple’s XRP token, they are not actually buying Ripple? Ripple and the XRP token are actually two completely different things. Ripple is a US based company which offers banks a software called Ripple Connect. This software uses something called the InterLedger Protocol (ILP) to transfer currencies between banks while charging a minimal fee. The Ripple company owns and runs a real time settlement system, currency exchange and remittance network called the Ripple Transaction Protocol, which is also known as Ripple. This protocol uses the token known as XRP as a fee to send transactions throughout its network. So what does Ripple the company do? 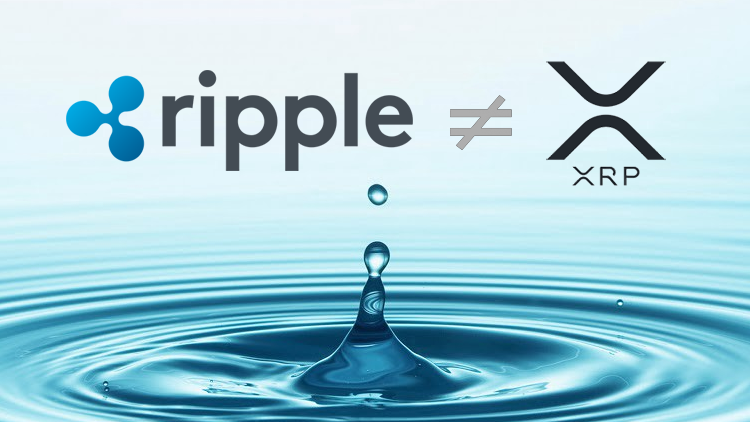 A quick visit to their website explains that Ripple has three products on offer: xCurrent, xVia and xRapid. xCurrent is their flagship product, and gives banks the ability to efficiently move money across borders. This product appears to be gaining traction with banks because this software allows them to save money and time when sending payments. However, xCurrent does not use the XRP token. xVia is a product that is still under development, and once completed will offer a similar service to xCurrent. The difference is this product will be targeted to entities outside of banks, such as corporations. Again, there are no plans to use XRP on the xVia platform. This leaves xRapid, a product which assists banks with additional liquidity when operating in emerging markets. This product utilises the XRP token as a fee for transacting on the xRapid platform. In short, Ripple is a company which offers banks and other financial institutions the ability to transfer funds across borders, and XRP is the cryptocurrency token which is charged as a fee for facilitating transactions on their xRapid product. Well simply because there are a lot of rumours floating around the crypto space about Ripple being adopted by banks. Although banks may be using Ripple’s services, in most cases the XRP cryptocurrency token is not being used by banks. So statements like “Ripple is used by banks” or “Ripple is like Bitcoin, but backed by the banks” misdirect investors into thinking that the XRP token is what is being adopted by the banks, when in most cases, it’s the company’s software products which are being adopted. There is a clear difference between Ripple and XRP. Further to the point, of the extensive list of financial institutions Ripple has claimed are using their software, the majority are using their xCurrent product which does not require the use of the XRP token. This means the exciting news stories of Ripple’s partnerships with international banks do not necessarily increase the adoption and use of the XRP token. Some banks have even stated their aversion for using Ripple’s xRapid product due to the XRP transaction fees being too expensive and volatile. However, perhaps this product may eventually be more widely adopted, leading to a heavier demand for the XRP token in the future. Another thing to recognise when considering whether to invest in XRP is the token is not very decentralised. Ripple is obviously a centralised company headquartered in the United States, and is estimated to own over sixty percent of all XRP tokens. So if the decentralised characteristics of a cryptocurrency are important, the XRP token may not be a good fit. Conversely, if a centralised token representing international transfer fees may be popular in the future, then XRP might be an interesting token to consider.